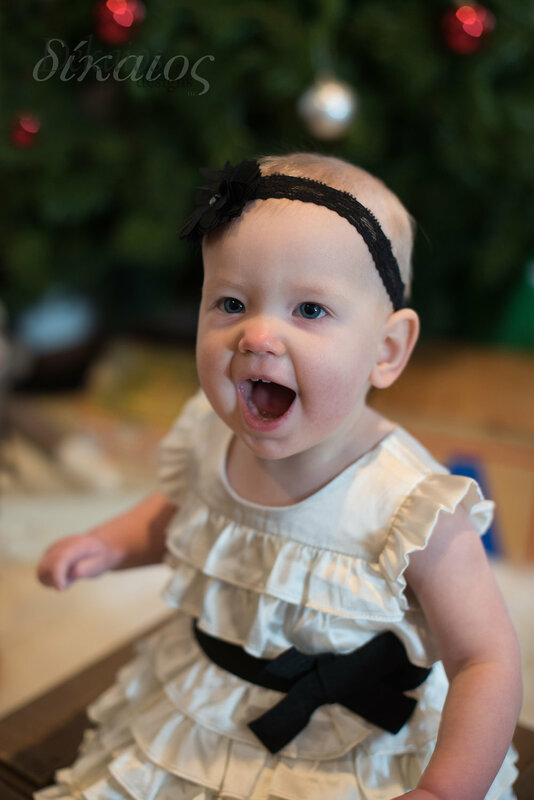 We began the year last year with a sweet new baby girl, Ginny. Her family has three children and with all three they have taken advantage of our first year package. It is a very reasonable package, for $180 you get three sessions in the first year, one at infancy, within the first two weeks. The second one at 6 months, and the last one at a year. It is so exciting to see how they grow in that time and such a pleasure to photograph. Following each session you have the opportunity to order print/digital packages as you do with all our sessions. Here is Ginny’s first year, she was born on Christmas eve, the first session was in their home. We brought our lights and a few props. We plan on that session taking a little longer with feeding and diaper breaks. Ginny is the first girl in the family, it was sweet to watch them learn to work with pinks and with cute little bows. The second session was in late June, we enjoyed the outdoors and Ginny discovered grass a little more. The newness of life is so fun. But we also went in and enjoyed this cute shot. 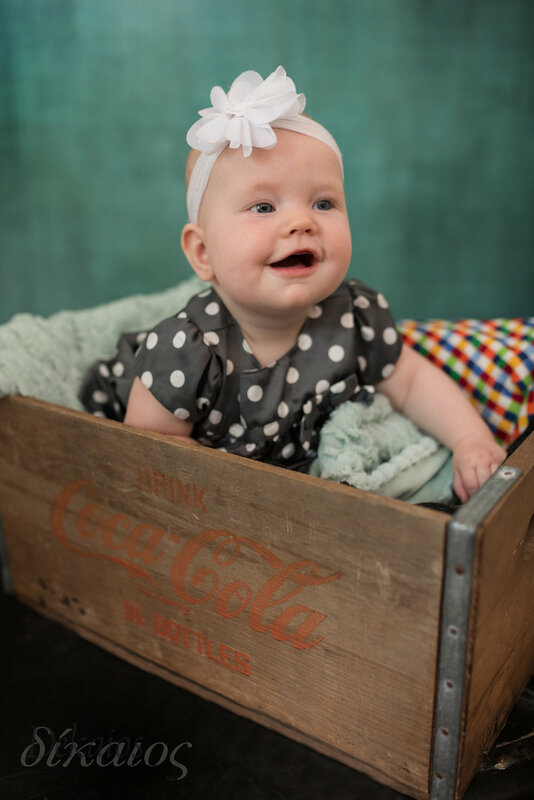 Her dad collects coke things, this box has been in all their children’s photos. And the year mark came with fun Christmas shots and more dresses. I might have to share more than one. Just like that a year has gone by! And she has changed so much. I love offering this package, because as you can see, these images are a treasure.